Valentine’s Day is just around the corner and I couldn’t think of a better time to show some love to our favorite girls. Personally, I’m a huge fan of any opportunity to get my best girls together in one room for some bubbly and light bites. 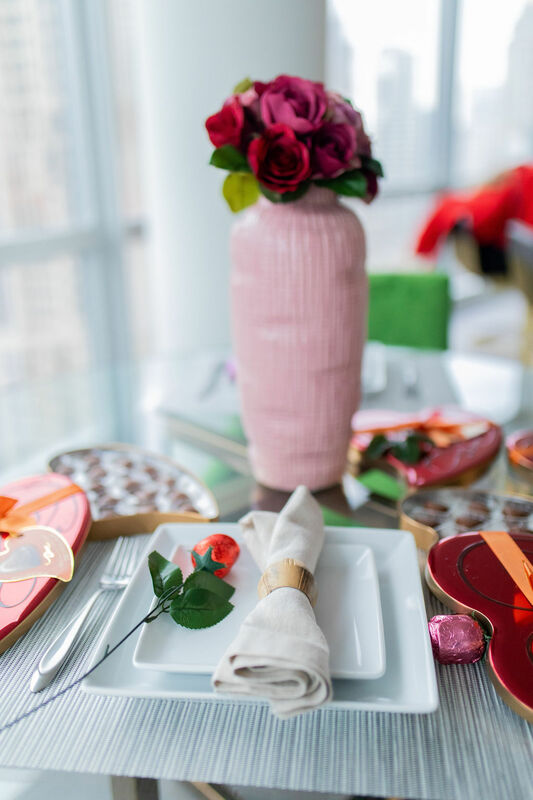 That’s why I’m very excited to be partnering with Gordmans to show you some amazing Valentine’s days outfits and some easy hacks to get your home ready for a little Galentine’s day get-together. If you’ve been following me for a while, you probably already know that I often partner with Gordmans. They have a vast selection of budget friendly items that make you feel like you won the lottery. Virtually everything from home decor to stylish outfits for the seasons. As an off-price retailer, you can score designers items for only a fraction of the price. Honestly, that’s what makes shopping at Gordmans so much fun for me. 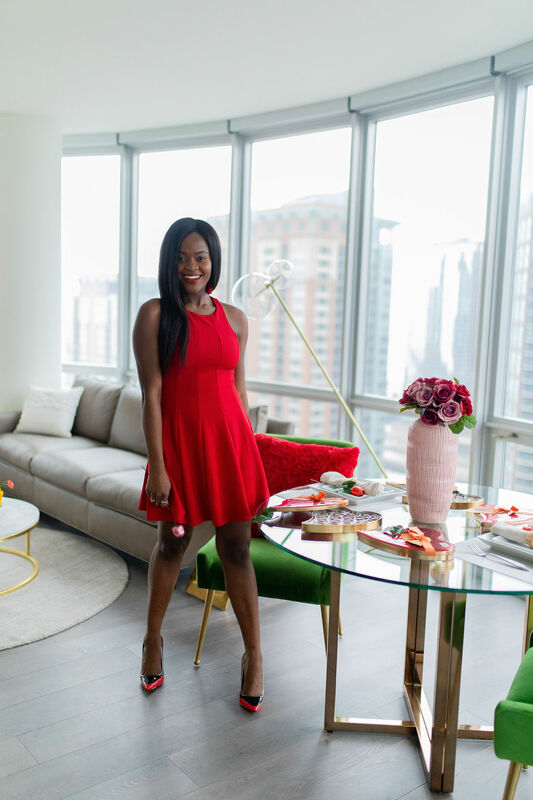 In anticipation of Valentine’s I went shopping to spruce up my space with pieces that were both practical and cute. I also took the time to shop for some cute outfits. I spent less than $100 on decor, two outfits and some gifts. 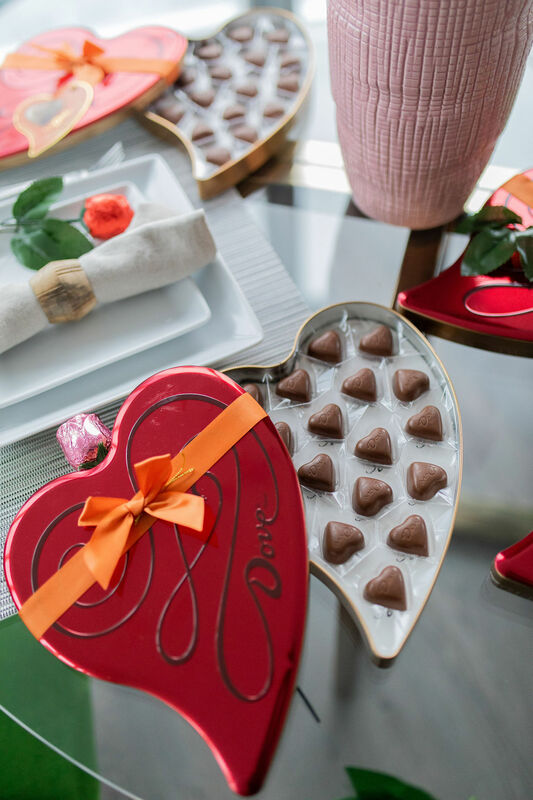 Here are some tips to get you and your home Valentine’s or Galentine’s Day ready. While planning for a party, the first step is deciding on a theme, then dressing for that theme. Naturally, red and pink are some of Valentine’s day favorite colors. 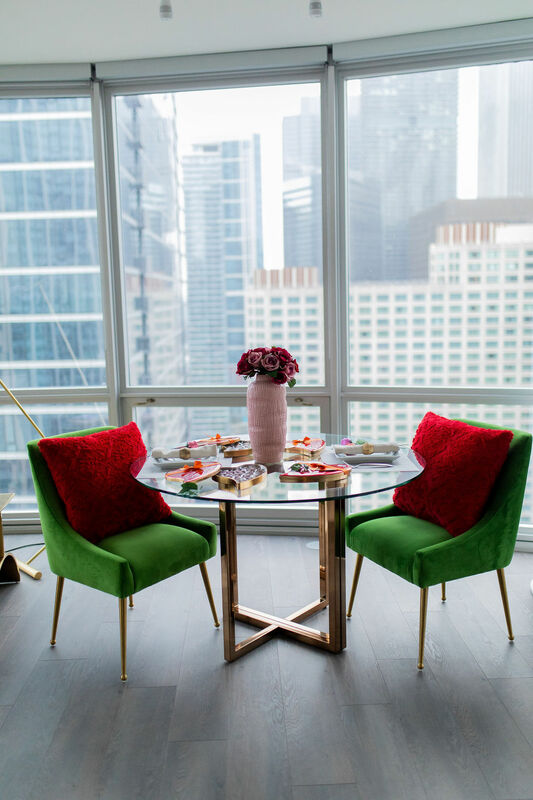 Based on your theme for your soiree, you can opt for a really casual atmosphere with cute PJs or a little more dressy affair with some cute dresses. I opted for this cute little red dress from Gordmans, only $19. I also love this lace dress in Magneta, which is a refreshing step away from the usual red and baby pink, ladies love to wear during Valentine’s day. Accent Pillows :: Your living space is where your guests will spend most of their time. Swap out your couch pillows with a set in a gorgeous shade of red ($19.99) . This adds a festive mood to your space without looking cheesy or overdone. Best part of this is that the pillows can be re-used for other seasons like Christmas, so you are getting major bang for your buck. 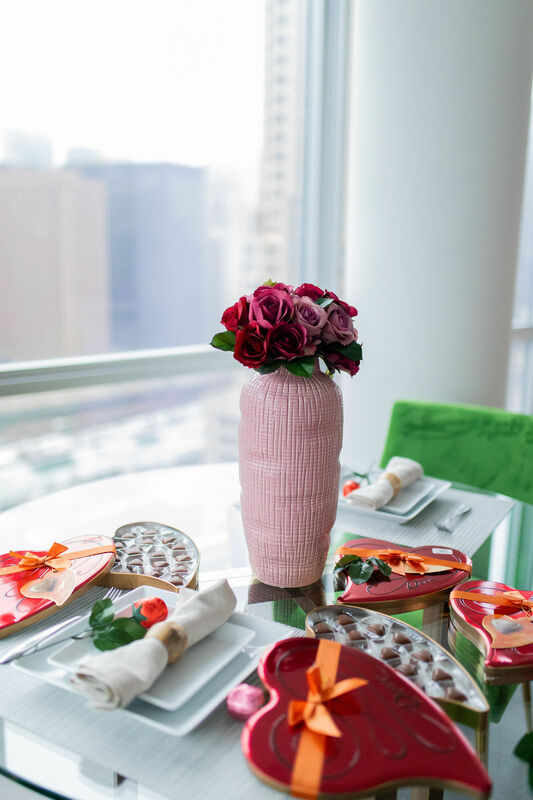 Center Piece :: The Center piece on your table is a clever way to decorate your space for your Galentine’s Day festivities. I chose this pink vase ($12.99) because I can use it way after Valentine’s day is over. The pink shade also made it easy to style with faux flowers in shades of red and pink, also from Gordmans which I scored for only $5.99. 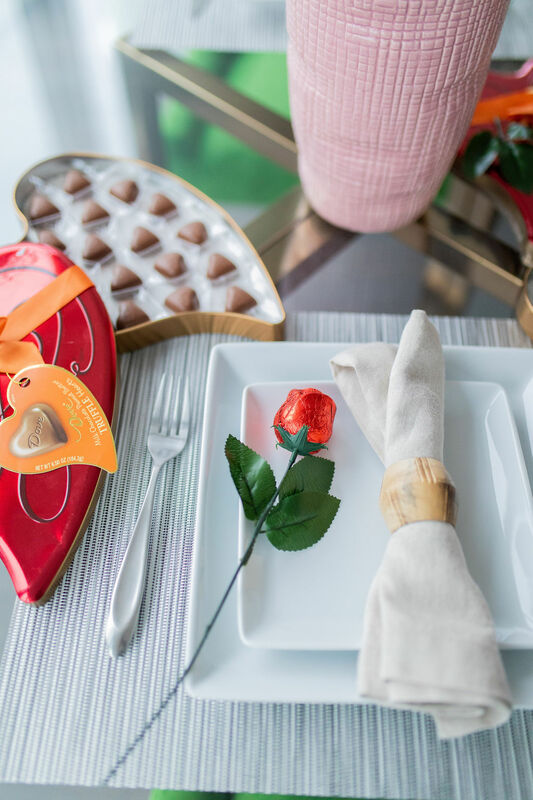 Roses & Chocolate :: Deck out each place setting with a little V-day swag like these roses or heart shaped chocolate gift sets. I scored these cute chocolate roses from Gordmans, for only 99 cents each. Personally, I would have a lot of fun presenting these roses to my girlfriends right before they enter my apartment. I hope these tips were helpful. Have the best Galentine’s day! All items mentioned in this post can be obtained from the closest Gordmans near you! Previous Post Six things to do when it’s too cold outside.